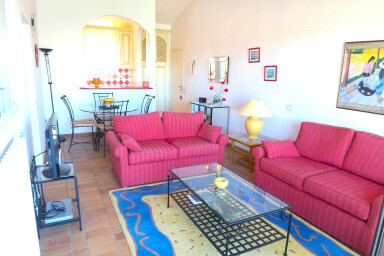 This charming 47sqm-large 3-room apartment is located in the private part of Port Grimaud South. It is on the upper floor of a building with a lift on the main place of Port Grimaud South. It is composed of a living-room with a renewed open-plan kitchen, two bedrooms and a shower-room. There is a South-West oriented loggia with a nice view on the hills and the canal. Both the living-room and one bedroom lead to the loggia. A very nice apartment to live in for the whole year as well as for the holidays only.